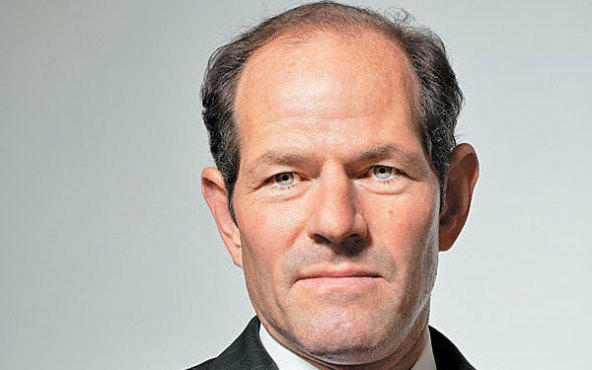 Editor's note: We asked Eliot Spitzer the same NYC-related questions as everyone else, although we did add two that, via a spokesperson, he declined to answer: How it felt, for the first time in decades, not be intimately involved directing the future of the city—and also what he'd say to our readers, if they didn't like his inclusion in our list. We stand by the choice—as attorney general, Spitzer went after white-collar crime and turned the office into a national watchdog. As for his time as Governor: There was promise there—and a chance for the “Sheriff of Wall Street” to clean up Albany and fight for us. By honoring him in this issue, we’re honoring that promise, cut too short. How do you feel about his inclusion? Comment below. Who are your favorite New Yorkers? Eliot Spitzer: My favorite New Yorkers are Teddy Roosevelt and all the immigrants who defined and built this city. What’s had the most cultural impact on NYC in the last 13 years? Eliot Spitzer: For me, it has to be the emotional rebirth and unity of purpose that emerged in the city after 9/11. What’s your favorite place in New York? Eliot Spitzer: The north end of the reservoir in Central Park at dusk when the lights of the city are beginning to come on. It’s an amazing vista. What’s your personal favorite moment in New York? Eliot Spitzer: Crossing the finish line at the end of the New York City Marathon in 1983. What’s the future of New York? What are your hopes, and what needs to happen? Eliot Spitzer: New York will continue to be the cultural and economic capital of the world—but only if we keep our doors open to those who want to live here and build the educational and physical infrastructure necessary to support them. Eliot Spitzer: …the place where no dream is too big to come true. If you could have a drink with another Top 40 person, who would it be? Eliot Spitzer: These days I prefer hanging out with my kids—having dinner and encouraging them to do their homework and put aside Facebook for awhile.